I have a very comfortable couch in my living room. This is an indisputable fact, and it has often resulted in me passing out while watching a movie or TV show. However, this usually happens either extremely late at night or while I'm short on energy, when I am highly susceptible to the embrace of Morpheus. However, when I was woken by my wife as the credits to Escape from Planet Earth rolled, and I felt the imprint of my 3D glasses on my temple, it was only 10 p.m. following the previous evening's quality night of sleep. Needless to say, this film did not excite me much. The thing is, on my second attempt, having skipped to the last point I remembered, things improved quite a bit. The action picked up, some plot twists made the story more interesting and with all the exposition out of the way, there was the opportunity for the film to really get going. That story, though somewhat cliche, is enjoyable, as Scorch (Brendan Fraser), a lunkheaded adventurer loved the alien world over, leaves no spotlight for his meeker brother Gary (Rob Corddry) who's the brains of the operation. When Scorch decides to go against his brother's wishes and take a dangerous mission to "the dark planet," a place no explorer has ever returned from, it splits up the team, and Scorch goes it on his own...to the inevitable disastrous results. While Scorch is fending for himself on the dark planet (which, if you can't guess by the film's title, is Earth) against a team of hunters led by a nefarious military man (played within proper limits by a somewhat subdued William Shatner), Gary is dealing with guilt, as well as his rambunctious uncle-adoring son Kip and his non-nonsense wife Kira (Sarah Jessica Parker.) Naturally, he's soon on his brother's trail (otherise we'd have no movie) and Gary gets caught up in Scorch's mess, stuck with other captured aliens roped into a plot to take over the universe. Small stakes is not the game here. Considering how the film's sense of humor is very basic, it's surprising how it manages to pull a few surprises plot-wise, and keep things interesting, while thankfully not relying on sci-fi deus ex machina to save the day. We're not talking Keyser Soze-level twists, but you don't see them coming from a mile away either, unlike the supposed laughs the film attempts to elicit to no avail, at least from the adults watching. The thing is, there are several part of the script, which was worked on to some degree by the great Stephen Fry, that are genuinely clever or at least amusing, and make you wonder where exactly they came from, or when their friends were excised from the production? That's probably the film's greatest sin, as it seems to have been made for the lowest common denominator, while still leaving hints that it could have been something better. That's a serious disappointment, since the film's cast is loaded with very funny actors, starting with the leads. Both are perfect picks for their roles, as Corddry is excellent as the weaker Gary, playing exasperated just right, and earning the audience's support, while Fraser has heroic bluster down to a science, as anyone who's watched The Mummy knows well. The problem is, the materials they are working with just doesn't offer a lot of laughs. That's a shame when you've got names like Ricky Gervais (in what could have been a brilliant role as the ship's computer), Chris Parnell, Sofia Vergara, Craig Robinson, Jane Lynch and I'm all but certain an uncredited Bill Hader as a P.A. announcer (otherwise it's a fantastic imitation.) Gervais is funnier in one small riff in one of the extras than he is in the entire film. Meanwhile, several of these big names get next to nothing to do. Paul Scheer is in this movie, but I believe he has all of one word. Not a line. A word. The AVC-encoded 2.39:1 transfer here looks outstanding, with beautifully vibrant color, a crisp, highly-detailed image and not a spot of digital distractions. 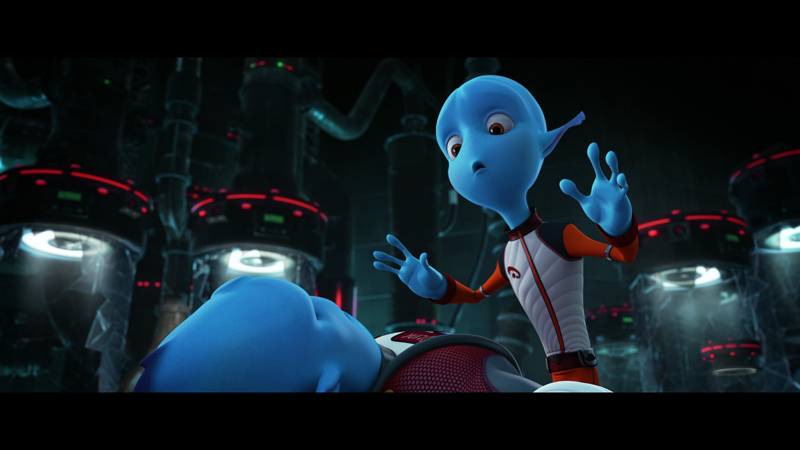 The cartoony animation and gorgeously deep backgrounds are all rendered wonderfully, to the point where there are scenes in this film that are so fantastic, like a mid-air sunset battle and a desert canyon aircraft chase, that it looks like the animation was laid over high-definition video footage. Getting up on top of the screen just serves to point out how great this transfer is. The 3D transfer looks pretty good too, though a bit darker than the 2D version, but the most striking thing about it is the aspect ratio, which is different than the 2D version, checking in at 1.85:1. The reason for the change is one I haven't seen in home video yet, as the extra space above and below the frame is utilized to expand the 3D effects, as snow, confetti, laser beans and more break the frame to give them added depth. It's slightly gimmicky, but it sure looks good. 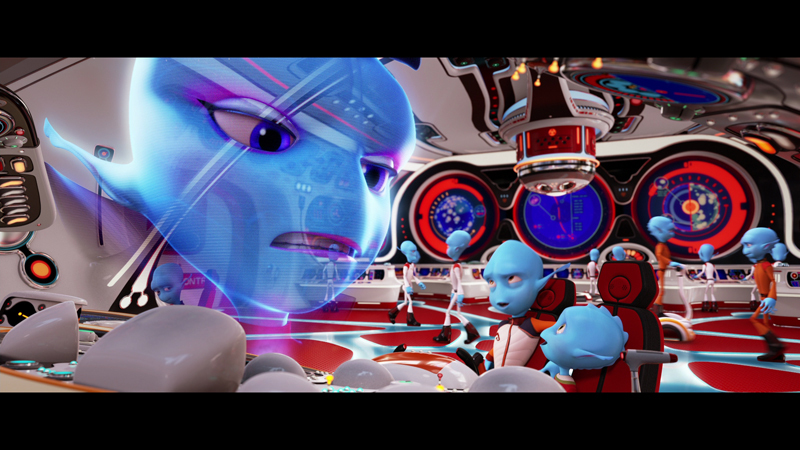 The credits say the 3D was a conversion process, but if it is, it sure was a job well done, mixing in-your-face gratuitous 3D with depth enhancement that makes for an enjoyable viewing. . While the movie looks amazing, the DTS-HD Master Audio 5.1 track is wanting. You've got a movie set in space, with spaceships, air fights, massive weaponry and all sorts of action, and all you really get are a few nice directional bursts from the rear speakers. Yes, there's some decent dialogue placement for characters speaking from off-screen, and the music gets a good boost when it's present, but overall, you can't help but expect a bit more out of the audio. It's certainly not bad, but it could be better. The extras start with a feature-length audio commentary by first-time director Cal Brunker, and for animation fans it's a pretty interesting track, as he goes into good detail on the process of making an animated film, points out easily-missed secrets and shares notes on the story as well as changes that were made to it during the film's lengthy creation. The film had a rather controversial birth that resulted in lawsuits, a factor that Brunker glances over, but it seems like he may have said something about 7-Eleven, as his voice suddenly disappears for the length of a scene set at the store, while never letting up for more than a moment for the rest of the film. A making-of featurette runs over 21 minutes, though it features a lot of clips from the film. It does also show you many of the actors in the recording booth (where you can learn how Fraser is a method voice-over actor) along with interviews with them. If the stars are one of the reasons you check this film out, this piece let's you spend a bit more time with them. Just over three minutes of alternate takes and deleted scenes are included, but they are mostly quite short, and are barely different from what made it into the movie. The "How to Make an Animated Feature" segment is more interesting, even if it is Animation 101 for anyone with a basic understanding of the CG process. One of the big action scenes is broken down into storyboards, pre-visualization, animation and then the final film, so you can see how the scene developed from a sketch to a full-blown moment. The final extra is a trio of music featurettes abut the three big songs in the film, by Owl City, Delta Rae and Cody Simpson. The Owl City entry is the music video for the song, while the other two are a mix of video and interview, which helps make the Owl City one the most entertaining. People bag on the guy for his music, but between this song and his track for Wreck-It Ralph he sure knows how to make music for animation. Also included with the set is a digital copy of the film and a code for an Ultraviolet stream and download. 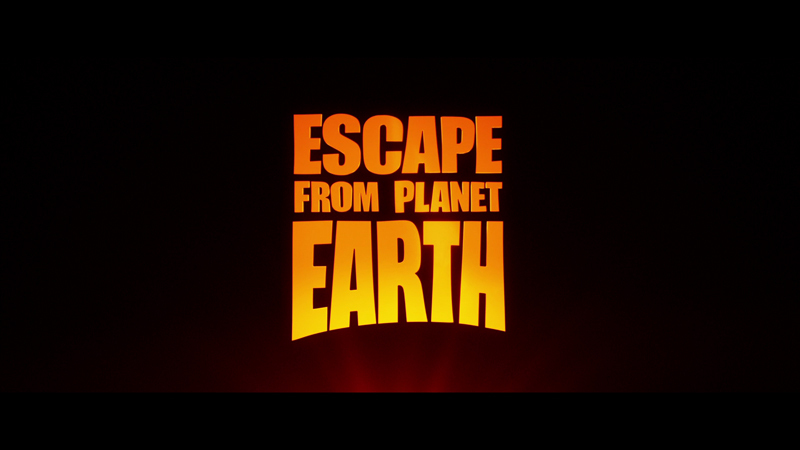 Escape from Planet Earth is not a movie I'll revisit too often, but then I'm not a pre-teen boy. I can imagine if I was eight years old, I'd be nominating Brunker for canonization. 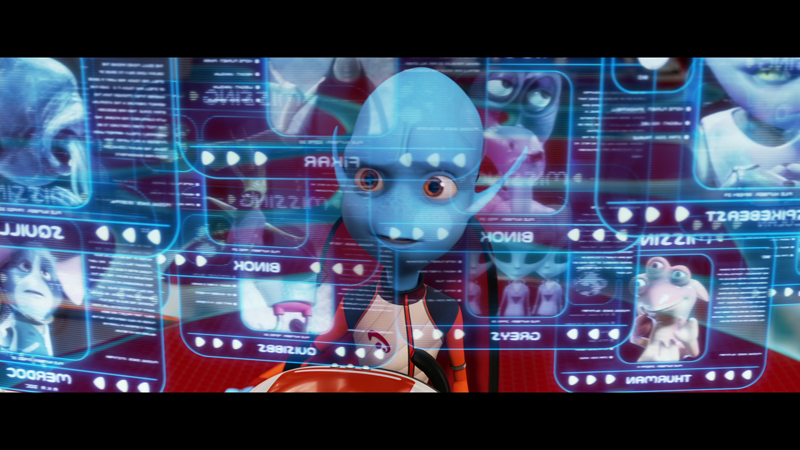 However the bar has been raised for animated films, so a narrow focus will leave half the room disappointed. The quality of the presentation here is far from disappointing though, and there's a nice selection of extras to check out. If you're looking to entertain some younger ones, this could do the trick, but be prepared to nap your way through the start.